Inside a small museum situated in the hometown of both Caltech and the late author Octavia Butler, the story of Southern California’s science fiction legacy unfolds. It’s the convergence of fact and fantasy, of starry skies photographed at regional observatories and extraterrestrial creatures imagined inside Hollywood studios. 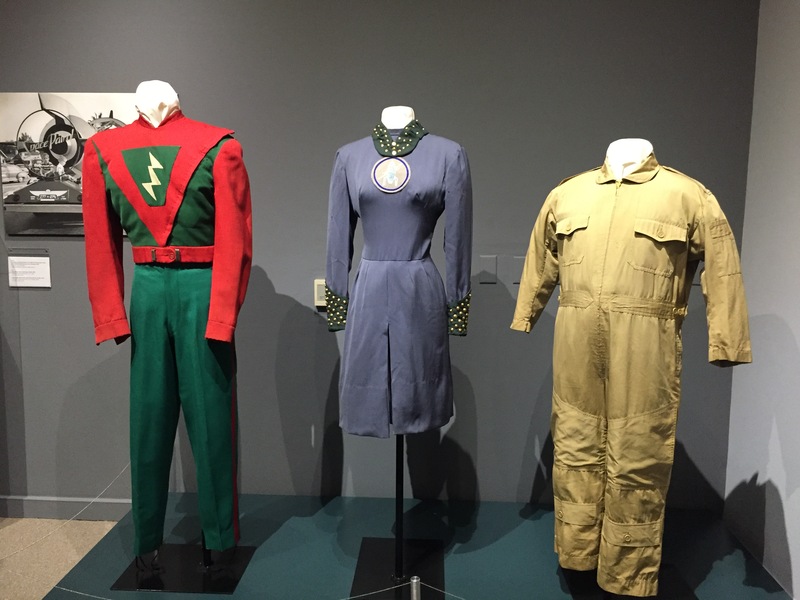 Dreaming the Universe: The Intersection of Science, Fiction & Southern California, which opened at the Pasadena Museum of History on March 3 and runs through September 2, digs into this history, bringing together academia and aerospace, pop-culture production and fan consumption. “It’s a such a robust story, science fiction and Los Angeles,” says Laura Verlaque, director of collections at Pasadena Museum of History. “What we’re trying to tell here is how science and science fiction interacted with each other and informed each other and created each other and why that matters,” adds curator Nick Smith. A collection of costumes is on display as part of the exhibit. Last year the City of Pasadena put out a call for STEAM 18, a year-long celebration of science, technology, engineering, arts, and math to coincide with the city’s turn as host of the space-centric science gathering COSPAR. The goal of the show, though, goes beyond Pasadena’s city limits. With Dreaming the Universe, the museum looks across the Southland. 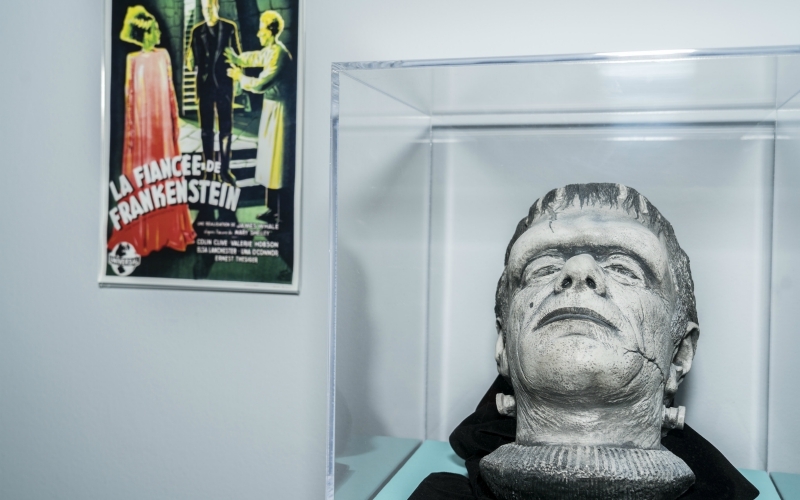 It heads to Clifton’s, where genre fans-turned-creators Bradbury and Ray Harryhausen would eat, and to the LASFS club house, a painted door from which is part of the exhibition. 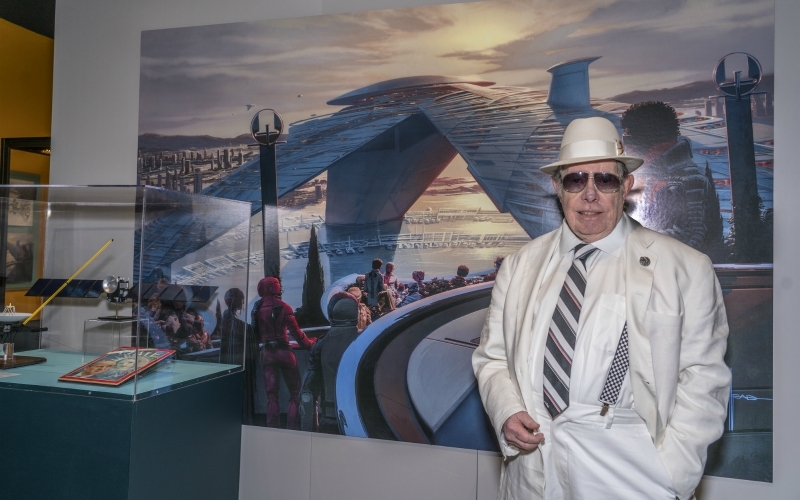 Syd Mead poses in front of his work. The artist/designer’s many credits in science fiction include Blade Runner and Tron. Los Angeles’ often overlooked literary history was also shaped in part by science fiction. Near the front of one of the two rooms that house this exhibit is a 1970 photo of Ray Bradbury sitting behind a desk inside his Wilshire Boulevard office, a robot and rockets amidst the pile of stuff in front of him. The author of Fahrenheit 451 and The Martian Chronicles is certainly one of Los Angeles’ literary icons, but he’s just one of a number of authors who contributed to regional history of the genre. Before Bradbury, there was Edgar Rice Burroughs, who sent his character John Carter to Mars and settled in the San Fernando Valley in this midst of his successful writing career. Later, there was Octavia Butler, who not only won genre awards like the Hugo, but also earned a MacArthur Fellowship in 1995, becoming the first sci-fi writer to win the esteemed prize. Butler didn’t stay in in the L.A.-area—at the time of her death, she was living in Washington—but she was raised in Pasadena. In fact, she won a short story contest at Pasadena City College while she was a student there. For some, merging science and science fiction was an ambition. Charles Richter was best known for inventing the Richter Scale used to measure earthquakes. He was less successful in his attempts to write sci-fi; a rejection letter is amongst the finds displayed in this show. On the other hand, Eric Temple Bell successfully worked in both fields. By day he was a mathematician who taught at Caltech; on his breaks from school, he wrote novels that were published under the pseudonym John Taine. Next articleThis Might Be the Most Inventive Breakfast Burrito in L.A.